One of the most significant initiatives and business innovations of our generation has been that of social entrepreneurship. Social entrepreneurship is the work of social entrepreneurs. A social entrepreneur is someone who recognizes a social problem and uses entrepreneurial, market-driven principles and strategies to organize, create, and manage an enterprise that delivers social good. There has always been a role for the social entrepreneur. 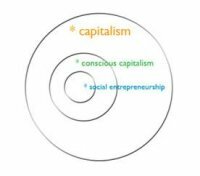 Over the past couple hundred years, we have seen social entrepreneurs chart the way for some of the most significant institutions in our current culture, such as health care and higher education. These institutions were largely privately funded at first and then taken over by the public systems, as the government played a growing role during the early part of the last century. The large public institution bias favoured the growth and instalment of great social programs for the disadvantaged. With the support followed the best minds in the field, all wanting to support the government agencies and programs. Within the latter third to latter quarter of the last century, there have been two key dynamics that are changing the rules of the game: the urbanization of the first world countries alongside the privatisation of many of the social services. Urbanization has produced greater inequality amongst those living even closer together - as social services have come under tremendous strain to cope with growing numbers on old infrastructure and systems. As neighbourhoods become further stratified, service quality begins to match standards of living, which in turn further stratifies neighbourhoods as higher income families flee to better areas of living. As more choice is provided in the privatisation of services, those with the means will prefer higher quality for higher prices, which in turn will lower the standards for the public service. The privatisation has not only divided the services to the masses, it has also divided those of highest talent; the most talented have moved into the private sector as the public sector has lost its ability to attract the best and brightest minds from university and build lucrative careers. Nevertheless in more recent times we have witnessed many notable entrepreneurs starting to reverse this trend, moving away from for-profit only organisations. 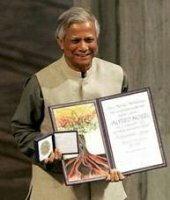 One of the most famous examples from the third world is Nobel Peace Prize winner Muhammed Yunus (photo 2), the founder of Grameen Bank (web site) - a microfinance organisation that has shown it is possible to run a sustainable, profitable business while financing the very poor. Equally groundbreaking was Academy Award winner Robert Redford’s founding of Sundance Institute - an organisation that was critical in the start of the independent film industry. The institute was initially funded from private wealth, as it was not possible to secure funding for films that was aimed at promoting the social movement and consciousness of the people. Another notable urban example is that of the Big Issue (web site) – originally founded by John Bird and Gordon Roddick in 1991, the Big Issue (photo 3) is a street newspaper now published in eight countries, which is written by professional journalists and sold by homeless individuals. The magazine exists to offer homeless people the opportunity to earn a legitimate income, thereby helping them to reintegrate into mainstream society, but is also one of the most successful street magazines worldwide, selling over 300,000 a week. 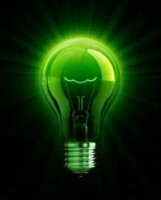 A great hope - Conscious capitalism represents a great hope. 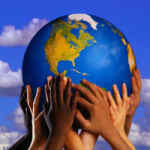 A constructive globalization, based on solidarity, could solve serious problems. Let’s think positive!